Vitakraft Greens are light and tasty nibble sticks - an ideal source of dietary fibre. Made with freshly-harvested grains and alfalfa, a rich source of natural fibre. These healthy snacks are enriched with valuable vitamins. Each stick, approx 6cm long, is the perfect source of nutrients and great for playing with too! 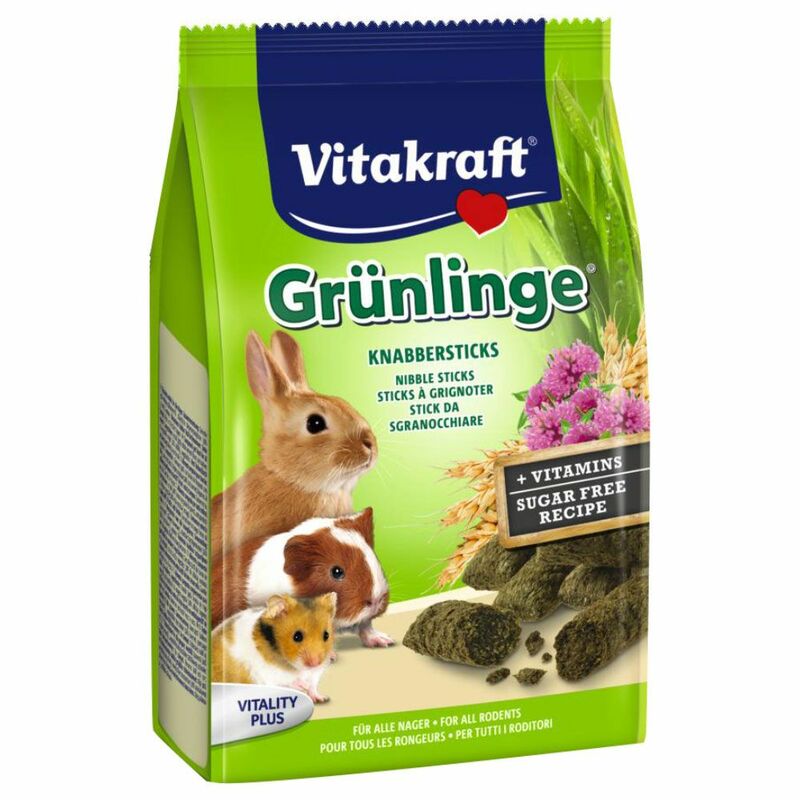 Vitakraft Greens at a glance Gnawing sticks for small pets Great for hand feeding With vitamins and minerals Sugar-freerecipe No artificial flavourings, colours or preservatives.